Last week our team joined hundreds of other cloud fans in Houston, TX at Acumatica Summit 2019 to celebrate 2018 milestones, hear about the road ahead and get pumped up for another year of cloud ERP growth! 2018 was a fantastic year for Acumatica. Achievements celebrated at the Summit included passing the 5,000th customer mark and achieving 88% new revenue growth YoY. Read on to see our top highlights from the week long event. Acumatica announced continued progress in helping customers streamline operations, build businesses, and realize digital transformation in a quickly changing landscape. Acumatica was also honored with the highest customer satisfaction in Gartner’s latest Magic Quadrant, topped G2 Crowd’s report in user satisfaction report, and ranked highest in usability in Nucleus Research’s ERP Technology Value Matrix. Want to experience the keynote for yourself? Watch the recording now! Acumatica emphasized the importance of having a seamlessly-connected business and that Acumatica Cloud ERP is the best path for transforming business to thrive in the digital economy. 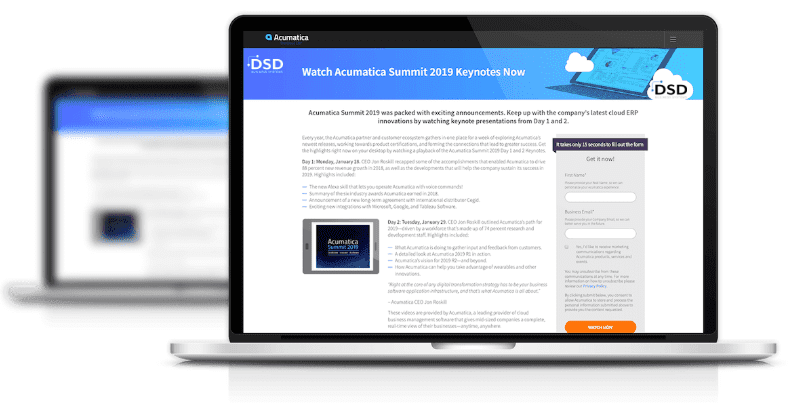 The keynote sessions were packed with exciting announcements and updates to Acumatica. -The new Alexa skill that lets you operate Acumatica with voice commands! The new Acumatica Alexa skill empowers users do a variety of tasks via voice command, including checking inventory, looking up and approving expenses and updating opportunities in customer relationship management tools. Amazon announced Alexa for Business in November 2017 and Acumatica is one of the first to the table in revolutionizing modern business practice in this way. -Exciting new integrations with Microsoft, Google, and Tableau Software. Tableau analytics are now available for use with Acumatica. This crowd-pleasing integration provides best-of-breed business intelligence technology, deep data insights, advanced analytics capabilities, and what-if scenarios to Acumatica customers, perfectly complementing the native reporting and dashboard capabilities already delivered in Acumatica. -A new distribution agreement with international distributor Cegid. Cegid is the leading business management software provider in France. The product announcements included detailed demos and are best viewed live via the recorded keynote sessions. Watch the keynote sessions here! 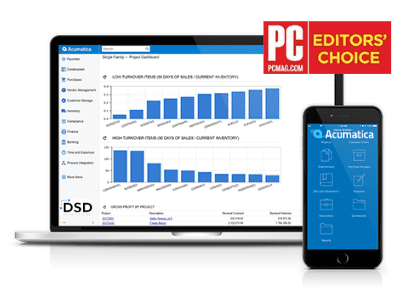 -Acumatica 2019 R1 in action. -Acumatica’s vision for 2019 R2—and beyond. -Acumatica use with wearables and other innovations. As you can see, we are excited for where Acumatica’s cloud ERP software and integrations have been and where they’re going in 2019 and beyond. We are committed to supporting the digital transformation of our customers with continual evaluation of new technologies, integrations and outstanding customer experience for the future of their success! Want to learn more about Acumatica Cloud ERP?